102-year-old Robert Marchand beat his own Hour Record for the category created especially for him by the UCI (100+) this afternoon. 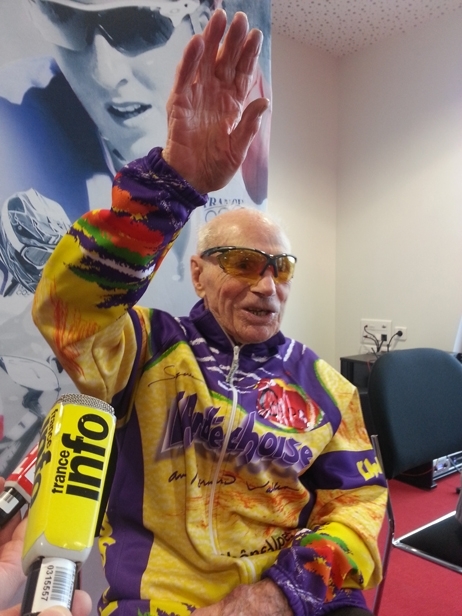 He rode 26.927 km – 10% further than the distance he set in 2012 at the age of 100! Marchand continues to inspire us. Today, at France’s new national velodrome in Saint-Quentin-en-Yvelines, near Paris, he attacked his own Hour Record and smashed it! 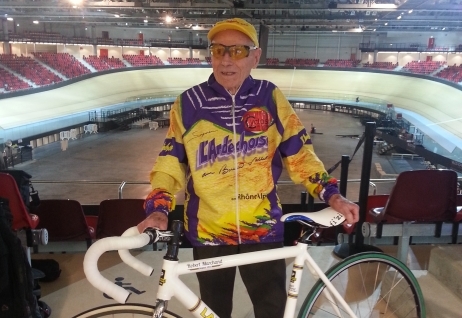 At 102 year old, Robert Marchand smashed his own Hour Record of 100+ age group. Robert Marchand attacked his own record at the new velodrome in Saint-Quentin-en-Yvelines, just outside Paris.